The tenure of Central Bureau of Investigation (CBI) Special Director Rakesh Asthana has been curtailed by Appointments Committee of the Cabinet, with immediate effect. 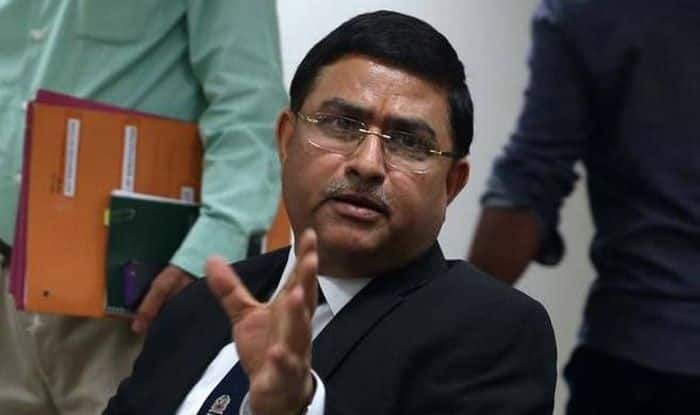 New Delhi: The tenure of Central Bureau of Investigation (CBI) Special Director Rakesh Asthana, who was sent on a forced leave by the government in October last year along with the then CBI director Alok Verma, has been curtailed by Appointments Committee of the Cabinet, with immediate effect. Three other CBI officers – Arun Kumar Sharma, Manish Kumar Sinha and Jayant J Naiknavare – have faced similar action. If reports are to be believed, the decision to remove them was taken at a meeting held on Thursday morning at the CVC. Following the actions, Asthana has now been moved to Bureau of Civil Aviation, AK Sharma to ADG, CRPF and MK Sinha to Bureau of Police Research and Development. The move comes barely a week after Prime Minister Narendra Modi-led high-powered committee removed Alok Verma as CBI Director on charges of corruption and dereliction of duty. Meanwhile, the Selection Panel will meet on January 24 to decide on new CBI director. The final decision on who will be appointed as the new CBI Director for a fix term of two years is expected to be out by the end of this month. Sources familiar with the matter, were quoted as saying in an IANS report that Mumbai Police Commissioner Subodh Kumar Jaiswal, a 1985-batch IPS officer, Uttar Pradesh Director General of Police OP Singh and National Investigation Agency (NIA) chief YC Modi, are being considered for the post of CBI Director. Earlier on January 11, the Delhi High Court had dismissed a plea, filed by Asthana, Deputy Superintendent of Police (DSP) Devender Kumar and alleged middleman Manoj Prasad, seeking quashing of FIR filed against them. “No doubt, registration of an FIR against a public servant will be a cause of great concern and stress for the public servant. Charges under the FIR are a matter of investigation. It is important that law presumes a person is innocent until proven guilty,” the Delhi HC had said.